The Tannheim Valley lakes are perfect for splashing around and swimming, and the surroundings are spectacular. Why not make a trip to Lake Haldensee or to the magical nature reserve Lake Vilsalpsee. 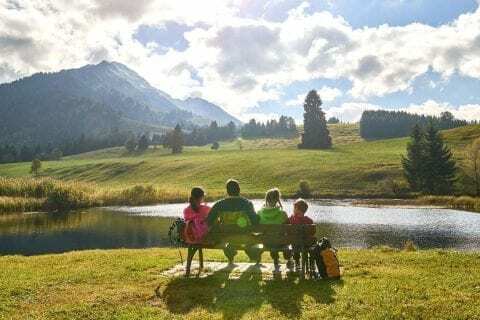 The hiking trail to Lake Vilsalpsee is suitable even for less experienced hikers and is even manageable for families with prams! Take a swim in one of Tirol’s most scenic mountain lakes (free of charge) and experience pristine natural countryside in Tannheim Valley, which is referred to as ‘Europe’s most beautiful high valley’. Water babies of all ages will love ‘Wasserwelt Haldensee’ (Lake Haldensee Water World), where they are sure to find everything they need to cool down on a hot summer day and spend a great time swimming and having fun in the sun. Residents of Guthof have free admission! Just half an hour’s walk from Guthof Lutz and you’re there! A plunge into this natural gem, surrounded by magical marshlands, is not only refreshing, but is supposed to be very healthy too. This is where we spent our summers and learned to swim back when we were kids. The Wannenjoch cable car is a convenient way to travel to the top of the mountain. 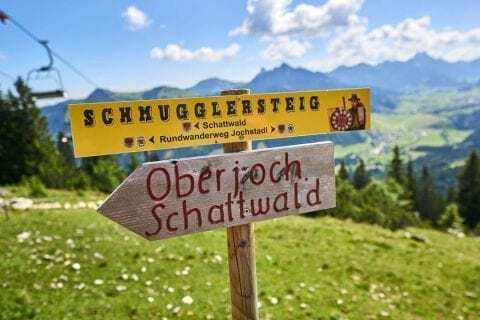 Once you’re there, on the trail from the Wannenjoch heading to the Iseler, you can’t miss the ‘Schmugglersteig’ (smugglers’ path). Children will love the adventurous quests along the themed trail. 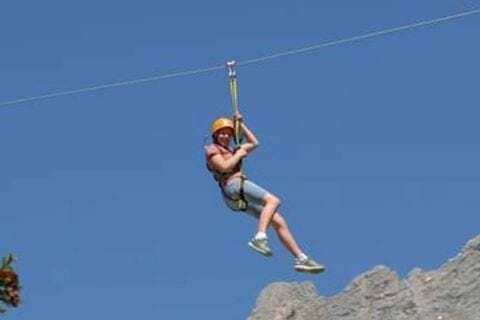 Adults will have fun too, taking on the role of border guards or smugglers. Hi there, lovers of white-water canyoning!